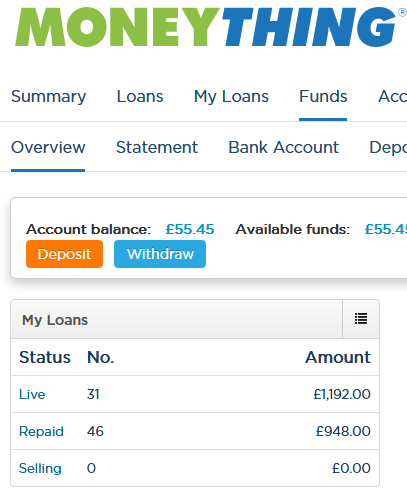 I currently invest in three platforms in the UK (Moneything, FundingSecure, Lendy) and none has an auto-invest feature. Lendix in France and Klear in Bulgaria also have no auto-invest. On the other hand in the Baltic countries it seems that all P2P platforms sport some kind of auto-invest feature. It makes achieving diversification a much easier task, why is it that the UK which is such a big P2P market does not have it? Do you know? Hi José, I can only guess that it has not been a priority for those marketplaces. Potentially investors are more selective on property loans and therefore autoinvest is not as much in demand as on consumer loan platforms. E.g. for a long time Estateguru did not have autoinvest either But actually there has been some discussion from Moneything that they may offer autoinvest in the future.